The Raiders are on the move again! This time from their home in Oakland to shiny Las Vegas. This move isn’t their first move away from their home base and is supposedly not their last. But for all it’s worth, it did make a huge number of fans thrilled with the move, albeit some others are disappointed. If you belong to the latter category of NFL fans, then don’t worry we have something to cheer you up! When you plan a Las Vegas trip, to support your favorite football team, you could rest assured that Vegas has plenty to offer! There is much fun to be had, plus you get to support your team in a brand new,state of the art stadium. It’s called the most happening place in America for something, right? Las Vegas has much to offer – like its omnipresent casinos, themed parks, tourist attractions, theaters, fun activities, natural and wildlife areas, and other attractions to keep you busy while you take a rest from all football in town. Traditional casinos are the forte of Las Vegas, but if you are the one who gets dissuaded with large crowds, then you may find some respite in online casino gaming. Old Havana Casino is one such gaming outlet which lets you play in the comforts of your own home or hotel room! Unlike traditional casino outlets, where you would be expected to make your move as soon as possible, you are given ample amount of time to decide on your next step. Also, you can play on the go, while going places, and experiencing other attractions that Las Vegas has to show. You can also visit the Red Rock Canyon national park, watch the dolphins rumble at Siegfried and Roy’s Dolphin Habitat, or watch the Flamingoes with piqued interest at the Flamingo Habitat. Everything is to be done at your own personal discretion. If a bout of adrenaline rush right after an exciting Raiders game is what you need, then you could visit places like Vegas indoor skydiving and machine guns park. The Benefits of Moving to Las Vegas? Firstly, it’s very easy to travel to Vegas; a flight could take you from Los Angeles to Las Vegas in an hour. Also, if you book it at the right time, you can find cheap tickets! The Raiders are getting a huge stadium, and honestly, it could be the biggest in the entire NFL. Constructed at a whopping $1.9 billion, it is going to be an impressive complex. And anyways, weren’t Raiders already due for a new stadium? This transaction was overseen by the likes of Bank of America, Las Vegas taxpayers money and Raiders organization. 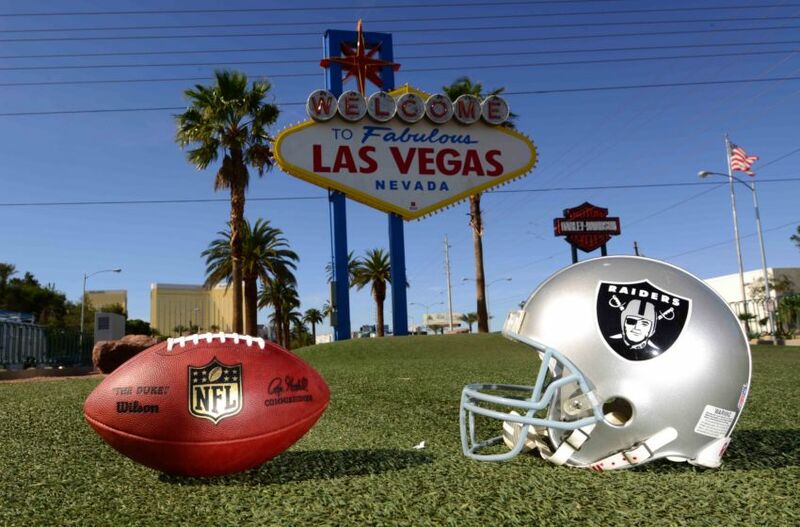 The Raiders move to Las Vegas may not have come as a surprise to many. After all, they are known for their on the move nature. Though this time, this move could work in their favor, as well as yours, as the new stadium and the city of Las Vegas it is sure to give this team a fresh new start.